AN INTERNATIONAL company that previously had a strong presence in Central Queensland is being sued for $2.026 million after a worker slipped on a ferry trip during rough weather. 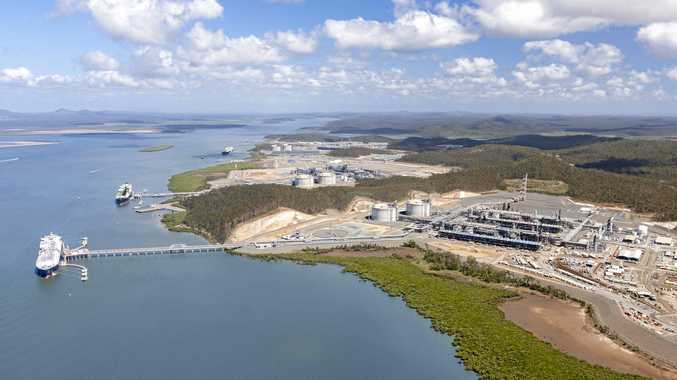 Bechtel has been named as a first respondent in a workplace injury claim filed in the Supreme Court in Rockhampton by lawyers representing former employee Melissa Joy List. Ms List suffered a closed head injury with dizziness and vomiting as a result of a fall on a ferry in 2014. She also received bilateral shoulder injuries, right wrist strain, bilateral hip and knee injuries, cervical and lumbar spine injuries, left groin and nerve injury with chronic pain syndrome. She also now suffers from adjustment disorder with depression and anxiety. Documents filed with court state Ms List, 38, was employed as a lagger and forklift operator at Bechtel's LNG construction project on Curtis Island. The second respondent is Riverside Marine Gladstone, which was hired to transport workers between the island and the mainland. It was on one of these trips between the island and Gladstone that the accident took place. Ms List was on the upper level of a ferry on September 22, 2014, on her way home from work during rough weather conditions and needed to use the toilets on the lower level about 12.15pm. The documents state Ms List used a steep stairway to change levels and as she walked down in her work boots, one of her feet slipped forward and she lost her balance, falling to the bottom of the stairs. The court documents highlight the stairway, while steep, was also wide and Ms List could only have hands on one side rail at a time. The claim states neither Bechtel nor Riverside Marine warned Ms List of the dangers of using the stairway. Due to the injuries, Ms List has required ongoing medical treatment, lost her job and has reduced employability. The Morning Bulletin approached Bechtel and Riverside Marine Gladstone for comment ahead of publication but no comment was provided.